In Japan, people often refer to August 15, 1945 as the end of "that war." But the duration of "that war" remains vague. At times, it refers to the fifteen years of war in the Asia-Pacific. At others, it refers to an imagination of the century long struggle between the East and the West that characterized much of the 19th century. This latter dramatization in particular reinforces longstanding Eurocentric and Orientalist discourses about historical development that presume the non-West lacks historical agency. Nearly 75 years since the nominal end of the war, Japan’s "history problem" – a term invoking the nation’s inability to come to terms with its imperial past – persists throughout Asia today. 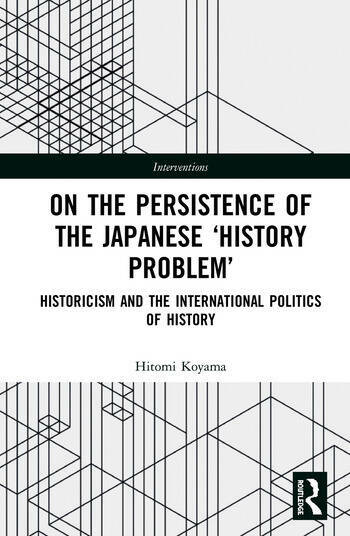 Going beyond well-worn clichés about the state’s use and abuse of discourses of historical modernity, Koyama shows how the inability to confront the debris of empire is tethered to the deferral of agency to a hegemonic order centered on the United States. The present is thus a moment one stitched between the disavowal of responsibility on the one hand, and the necessity of becoming a proper subject of history on the other. Behind this seeming impasse lay questions about how to imagine the state as the subject of history in a postcolonial moment – after grand narratives, after patriotism, and after triumphalism. Hitomi Koyama is a University Lecturer at Leiden University, The Netherlands.